NOTE: This exhaust may require modifications to the rear bumper for proper fitment! Photos are for reference only. Actual product may vary. Eisenmanns expert fabricators have been hand-crafting exhaust systems since 1988, and carry their old-world tradition into the 21st century. Eisenmanns engineering team has been an innovator in the exhaust manufacturing industry for years, and continues to offer its clients the latest in computer aided design as well as lab analysis and testing. It is precisely these skills that have earned Eisenmann contracts as the OE suppliers to Porsche AG, Mercedes AMG, Mercedes McLaren, Rieger Tuning GmbH, MST Wiesmann GmbH, and many other major firms. 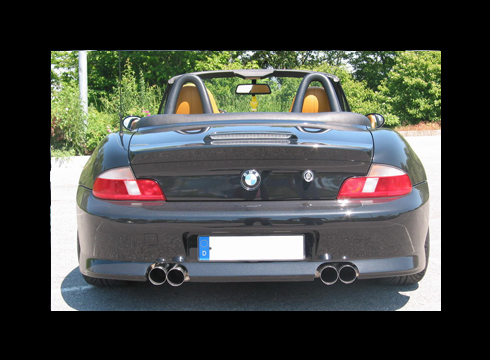 Eisenmann systems feature an aggressive tone, and target the luxury European car owner who is proud of their car and want to be noticed. 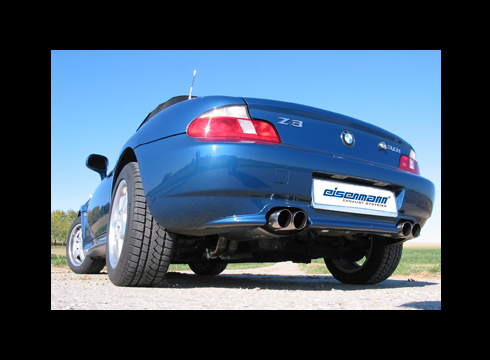 Each exhaust system is made from 100% 304 stainless steel and is manufactured to OEM or better specification using Eisenmanns wide range of experience as an OEM exhaust manufacturer. 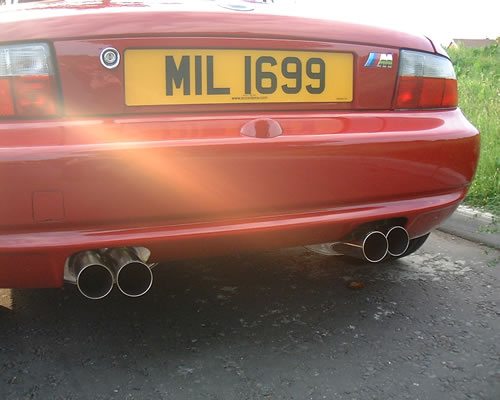 View Eisenmann BMW M3 Exhausts, Eisenmann BMW M5 Exhausts, Eisenmann Mercedes Exhausts here.